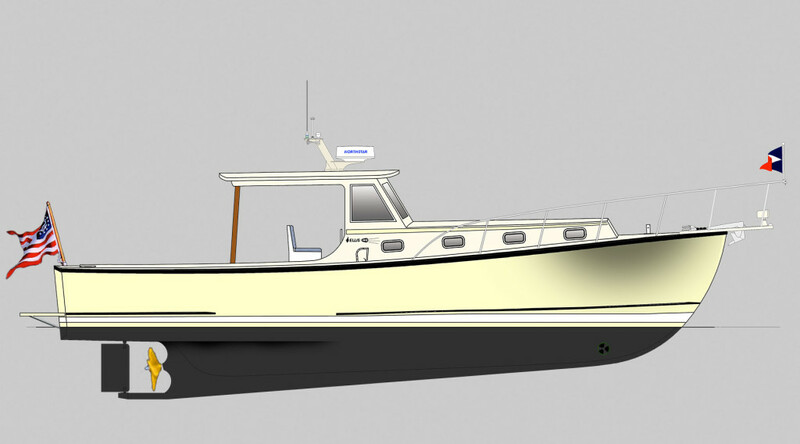 Ellis Boat Company builds SIX standard models on the Ellis 36 semi-displacement hull. With six models and countless options, you are truly able to build a boat specific to your needs. Start with a model that catches your eye and go from there. You may also take interest in our specialty designs, The Ellis Patriot and The Ellis Yankee. With extensive open space in the cockpit and shelter, plus full accommodations below, the Express Cruiser provides boaters a perfect blend of functionality & style. Inspired by classic Bunker & Ellis boats, the Express Cruiser with the extended cabin exemplifies the strength & beauty of a traditional Downeast Yacht. It is no coincidence that a boat that works well for the commercial lobsterman is also going to be comfortable and safe for coastal cruising. 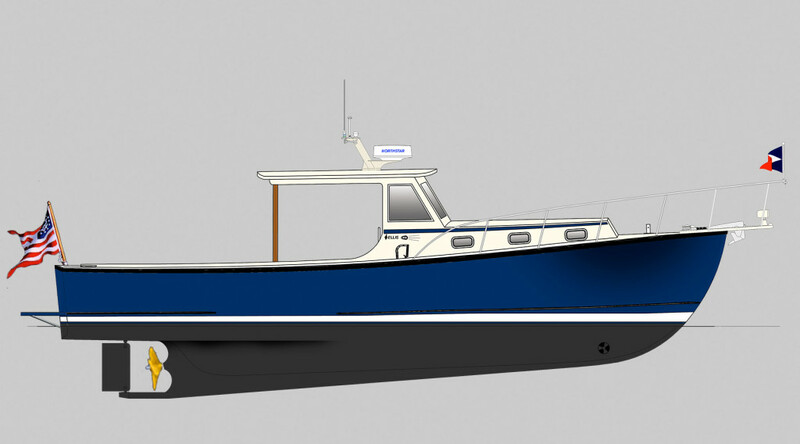 The Lobster Cruiser, with her extended cabin, gives you extra space down below while maintaining the classic look of Maine Lobster Boat. 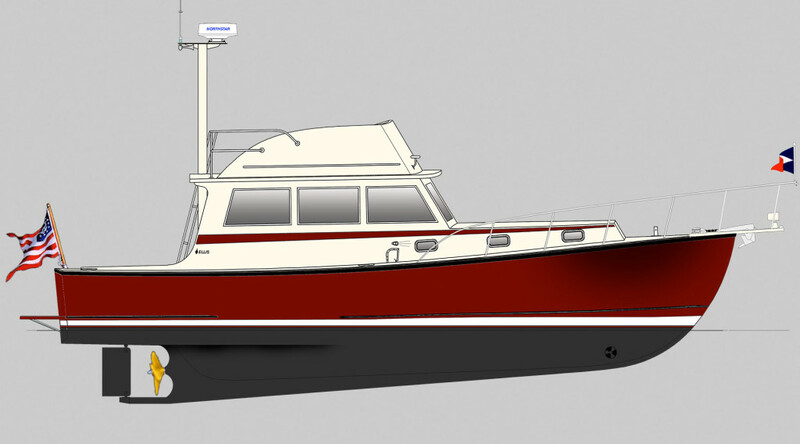 In the Extended Top model, you can put the galley up in the shelter, which opens up many possibilities for additional accommodations in the cabin. Benefit from the option of navigating your boat from the protected shelter, or from the flybridge, where you can enjoy sunny days with a commanding view of the harbor.